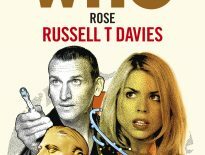 Presuming you store your Target novelisations in the order of their respective serials’ broadcast on TV, there should be a gap between Doctor Who and the Destiny of the Daleks and Doctor Who and the Creature from the Pit. That gap has existed since the latter’s release in January 1981. For over 30 years, you stared at that spot and quietly lamented the fact that Douglas Adams’ City of Death was never adapted. But in 2015, things changed. And again, the following year. That’s because James Goss was tasked with adapting the story and did so marvellously. Duh. If you’ve read Dead of Winter or heard Dead Air, Goss’ success will come as no surprise at all. A hardback was released, then a paperback, and since then, City of Death has dwarfed the Targets which surround it on your bookshelf. 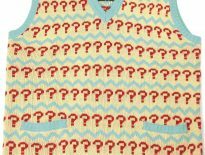 Now, you no longer have to put up with those quizzical looks from family, friends, and hostages glancing at your extensive Doctor Who collection. 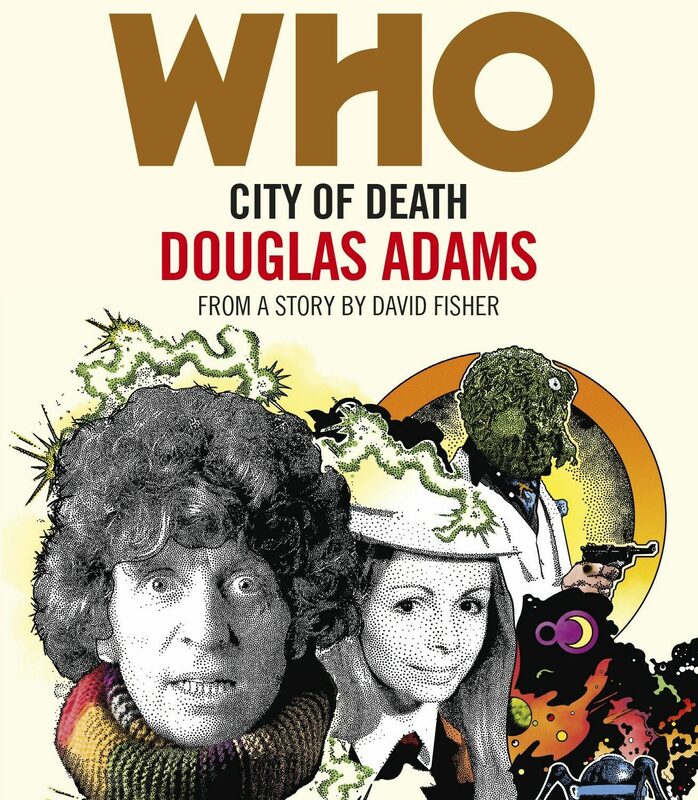 Because City of Death has been rereleased in slimmer, smaller Target form (alongside newbies, Rose, The Christmas Invasion, The Day of the Doctor, and Twice Upon A Time). Hold back your celebrations. Put away those party poppers. Don’t you dare light those candles on that Jagaroth-themed cake yet. You need to know one thing before the conga line starts: Is this new edition any good? After all, the page count between the 2016 paperback and this 2018 edition has dropped from 320 to 186. There must be plenty of material lost in those two years. You likely approach Target books in one of two ways, and seemingly, authors do just the same. You either actively look for additions and changes to the mythos (the superb prologue from Doctor Who and the Cave Monsters, for instance), or you’re just looking for another way of reliving a serial and indulging in your passion in a different medium (Doctor Who and the Invisible Enemy, for example, is a solid retelling of a prawn’s attempt to invade the universe). Essentially, the Target trim has seen City of Death go from the former to the latter. That’s certainly not to say it doesn’t have its charms or isn’t well worth a read. In fact, it’s a joy, from beginning to end. The thing is, City of Death skips along at a merry pace, with an irreverence for basically everything (including itself). While Goss’ expanded text was wonderfully written in a homage to Adams’ style and carries that ethos on when further developing biographies for characters, it feels more accurate to the source material to gloss over a few things. I don’t really want to know the backstory of Eleanor Bron and John Cleese’s characters; their appearance is perfect because you only get to know them for less than a minute. You understand these people, despite their briefness. This isn’t the case throughout, however. It’s a very well edited edition, giving you just enough extras without overkill. Kerensky’s death is a particularly strong example of this: little of the book focuses on him, until he’s victim of his own machine. It’s a gloriously sad passage, adding to the gravitas of the situation. Similarly, the chapter devoted to Scaroth’s past is pitch-perfect. There’s a slight change to Count Scarlioni’s story that feels apt, but crucially doesn’t undermine the character. On the other hand, we don’t learn much more about the punch-first-ask-questions-later Duggan. I can’t make my mind up whether that’s a good thing or not. 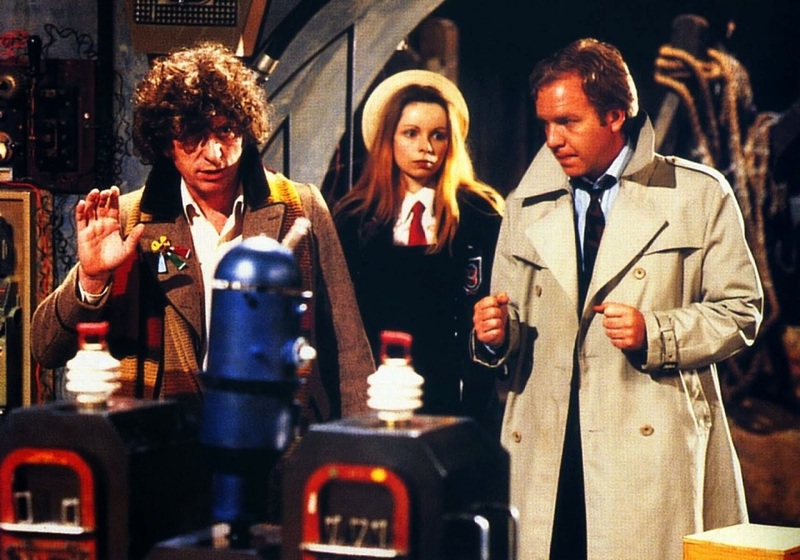 Two people who do get plenty of passages lavished on them are, of course, the Doctor and Romana, originally played by Tom Baker and Lalla Ward. Needless to say, Goss’ characterisations are so spot on, it feels like Autumn 1979 again, time spent with some old friends. It feels comfortable and yet also fizzes with energy – a truly gorgeous fusion, which makes this a great novel for reading at the height of the day or snuggled up warm in bed. It has, you’ll forgive the expression, a bouquet. All the important “quotable” quotes are included, of course, my favourite being the wonderful quips about where the Doctor and Romana are going (philosophically or geographically?). We’re all very familiar with the dialogue, but it’s crucially still crackling with enthusiasm, the cast’s voices bouncing around your head. Still, comparing City of Death with, say, Steven Moffat’s The Day of the Doctor, and the former does feel lacking in word count. That’s not normally an issue, but because City of Death has been adapted before, you know that a lot of details have been edited out. There’s the slight sense of loss there: considering the font size and page count, more could’ve been salvaged from past editions. Let’s hope subsequent generations don’t solely rely on this Target book as the definitive version and instead go in search of previous, more expanded copies. It does, at least, have the definitive cover art. Anthony Dry’s work is spectacular, his style one I’ve admired for many, many years now, so it’s so great to see his take on Douglas Adams nutty tale linking Leonardo da Vinci with time travel experiments and primordial soup. It looks so good on that shelf. There it is, nestled between Doctor Who and the Destiny of the Daleks and Doctor Who and the Creature from the Pit. It’s been missing for more than three decades and it feels odd seeing it there. Brilliant, but odd. And since it has no call to be here, the art lies in the fact that it is here. Exquisite. Absolutely exquisite. 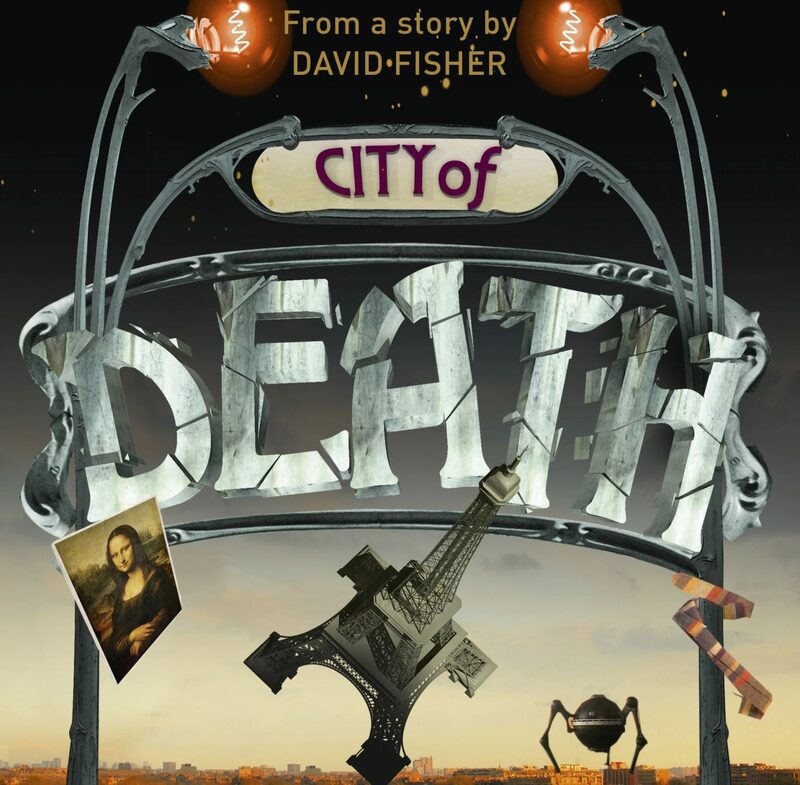 City of Death, the Target novelisation by James Goss, is out now, priced £6.99.